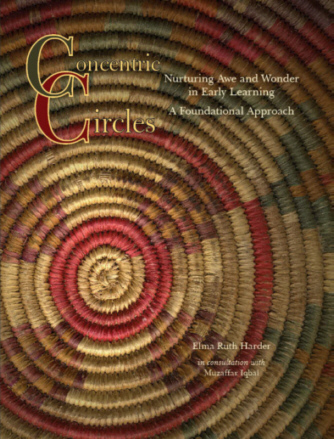 Concentric Circles�Nurturing Awe and Wonder in Early Childhood provides a clear and practical approach to planning, organizing and facilitating the learning experience for young Muslim children. Muslim Education Foundation (MEF) is a not-for-profit organization dedicated to providing resources and services to educators, students and parents for a process of learning that is built upon the Qur�anic worldview. This process, which we have called �Transformative Learning�, was used by the Prophet of Islam-the best of teachers who is model par excellence for every Muslim-to train his Companions, may Allah be pleased with all of them. The same process of transformative learning has been used by Muslim educators for centuries and it is precisely this process upon which the tradition of scholarship and learning was established in the Islamic civilization.